How can you eat ice cream in your hands without making a mess? Before the invention of the ice cream cone there was no good solution to this dilemma. But thanks to this marvelous invention, now we’re free to indulge waffle style, pretzel, chocolate coated, wafer, sugar, and more. So this September 22, celebrate National Ice Cream Cone Day by taking a bite into America’s favorite way to eat a cool, sweet treat. Making ice cream cones is not nearly as hard as it seems. You don't even need to have a waffle press to make a fresh and delicious cone for your ice cream. Now get to it! Much simpler than making your own cones, go try out that new ice cream parlor down the street. Search for ice cream on Yelp and see where your ice cream adventure takes you... but you don't even need to limit yourself to ice cream, sorbet, gelato and soft serve also come on cones! Buy a pack of standard sugar cones and decorate them! Dip in chocolate, add sprinkles, white chocolate and dark chocolate stripes, food color! Get creative and be prepared for your next ice cream party! Part of the appeal of the ice cream cone is the added textures and flavors that it adds to your desert. 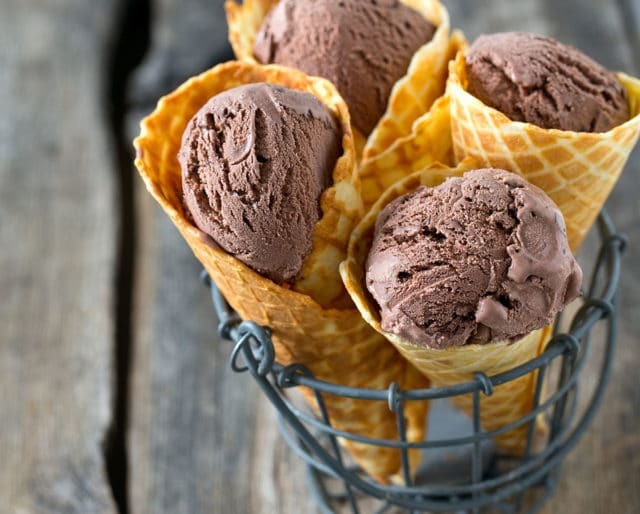 Chocolate ice cream is made infinitely better when you add a pretzel cone, or adding a crunchy vanilla cone to your mango sorbet makes the desert much more dynamic. Ice cream cones are eco-friendly! Besides being a delicious addition to the ice cream treat that you are holding in your hand; every time you eat ice cream in a cone you are doing the planet a favor by not using a plastic disposable spoon and cup! So to the planet a favor and enjoy your ice cream at the same time — Its almost like you CAN have your cake and eat it too. Cone or cup? The age old question...While this point is open to some discussion (maybe a thing to discuss over your ice cream with friends) but obviously cones rule cups drool.